The North Carolina DOT TAMP is available here. 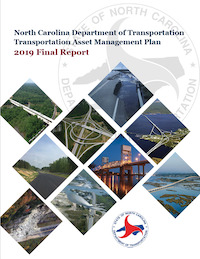 The North Carolina DOT TAMP was published in 2018 as an interim report. • Key revenue projection assumptions identified.